In such perspective, we aim to conduct a series of studies for investigating the relations between the neural correlates and the psychological correlates of emotions considering not only the different areas involved in the emotion experiences alone, but also to take in account the relations between the different areas. By exploiting novel Bayesian generative modelling approaches and related computational learning and inference algorithms (e.g. deep learning), we aim to inspect the brain’s signals with the intent to infer possible causal relationships between different brain areas. while bridging in a principled way psychological and neurobiological evidence. In a preliminary study , at the area level, we have analyzed fMRI signals of different networks in the brain under resting state condition. To such end, the dynamics of signal variation, have been conceived as a stochastic motion, namely it has been modelled through a generalized Langevin stochastic differential equation where the Gaussian noise source has been replaced with α-stable noise. Results show that the α-stable noise, at varying characteristic index α, is the source of a spectrum of activity modes across the networks, from those originated by classic Gaussian noise (α = 2), to longer tailed behaviours generated by the more general Lévy noise (1 ≤ α < 2)). Tommaso Costa, Giuseppe Boccignone, Franco Cauda, and Mario Ferraro. 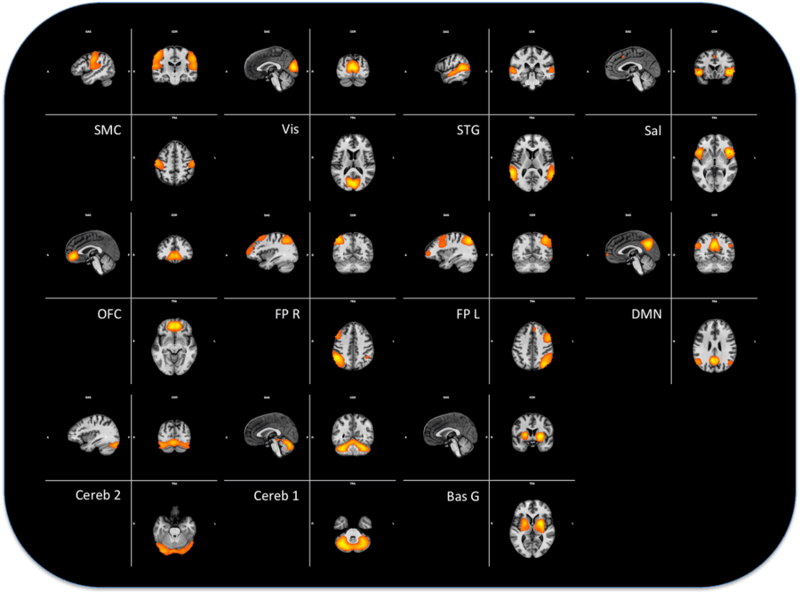 The foraging brain: evidence of levy dynamics in brain networks. PloS one, 11(9):e0161702, 2016.